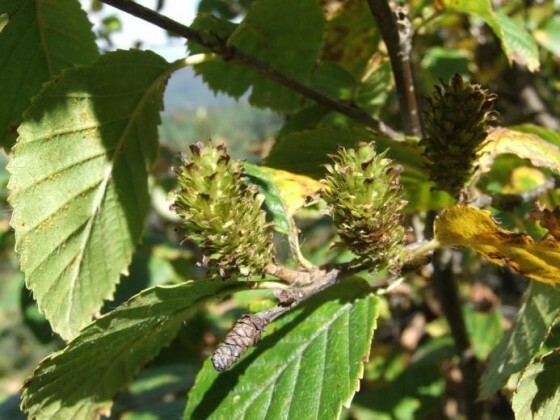 Betula megrelica is considered a relict species that has been protected from the great ice ages of the past. It is now confined to the Causcasus Mountains where it has evolved in isolation for nearly 15 million years. 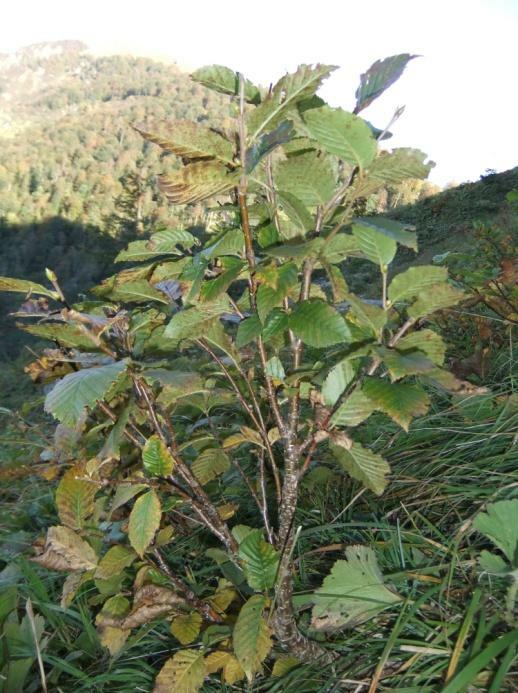 This elusive birch is endemic to North West Georgia and was previously only known to grow on Mt Migaria in the Samergrelo region. It was first discovered in 1934 by D. Sosnovsky, in 1971 two Russian botanists collected seeds and herbarium specimens from Mt Migaria and plants were grown in the Moscow Botanic Garden. Sadly the Moscow plants died and for a long time no wild collections were taken as the original location of Betula megrelica was lost. However in 2013 wild population were re-discovered on Mt Migaria and Mt Jvari in the Mingrelia region and research is now taking place to find out more about this species. Betula megrelica is a small drought tolerant mountain shrub with metallic bark and attractive yellow leaves in the autumn. It has a very niche habitat that has to be high enough to not have to compete with faster growing tree species, steep enough to avoid grazing animals and where aspect is between north and east. At its upper limit (2000 m),it can reach heights of 12 feet and forms dense thickets and dwarf forests. At its lower limit (1500 m) the shrub is much smaller, around 4 feet, sparser and is heavily grazed by livestock. 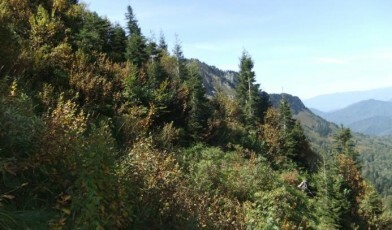 Farming and forestry are the two main threats to this species, over-grazing from domestic livestock have already damaged the edges of the wild populations on both mountains. Increased felling may also have an indirect effect on Betula megrelica by opening up the forest and allowing livestock to move into the areas inhabited by Betula megrelica. These threats are worsened by the fact that in Georgia little forestry control exists and unsustainable forest use, including poor management and illegal logging in combination with uncontrolled logging is a major problem. Over-grazing along with poor forestry management therefore pose a huge threat to this species as it occurs in small, not well known populations which could easily be cleared unintentionally and without notice. The recent Red Listing carried out by GTC will help establish conservation action for this rare species of birch which is in urgent need of population monitoring and protection.